What do you think about the junk market? Someone calls this place the vintage shop or vintage market. One way or another, junk market sounds not very attractive. Nevertheless, if you like antique things, you should visit junk market to find something special. European capitals boast with one or many vintage markets that are called the city attractions now. 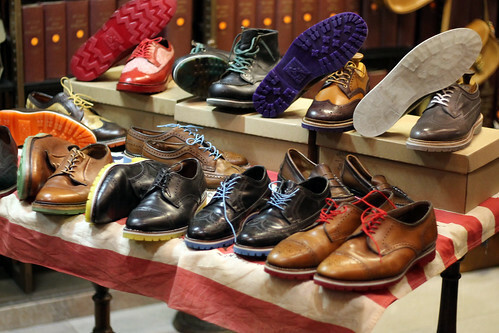 So, you are welcomed to visit the biggest vintage shops and markets of Europe. This is the best visiting and the biggest market of Paris. 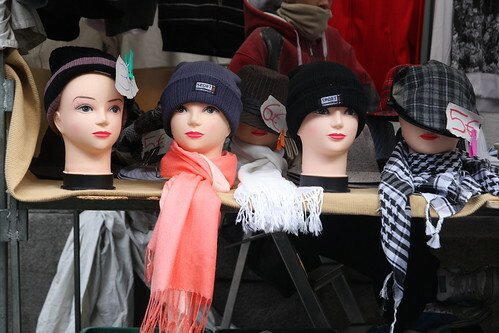 More than 11 million of French citizens and people from other countries come to see the wide assortment of the Marche aux Puces de Saint-Ouen. The market appeared in the 19th century to be the city popular place that is worth visiting. It consists of 2 000 of counters and sectors. Each of them is specialized in one or another sort of goods. 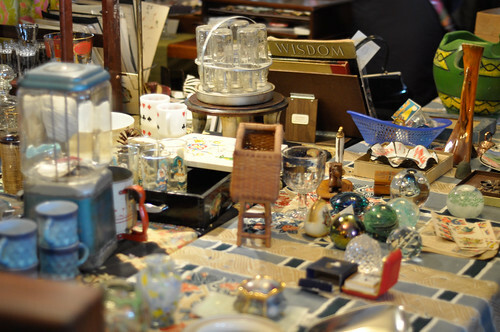 You can see antique goods, design goods, ceramics, books, toys, interior items, ethnic goods and other interesting goods. One more thing: you should not touch the goods if you are not going to buy. This is a rule. This is the most popular and noisy place in Madrid. This is the heart of the city. The market is situated in the central city square every Sunday. You can buy everything here, including arts masterpieces and interior subjects. You can also find many unusual and interesting antique things. They are not only from Spain, but from all over the world. If you like antique goods, you should visit the Portobello Market in London. It is considered to be the best in the world because the amount of worthy things here is really big. For example, you can find the wedding dress of the past century. The famous designers like visiting this place in search of new or old ideas. If you know a little about antique things, you risk to be failed. The most of sellers used to sell their goods for big price. 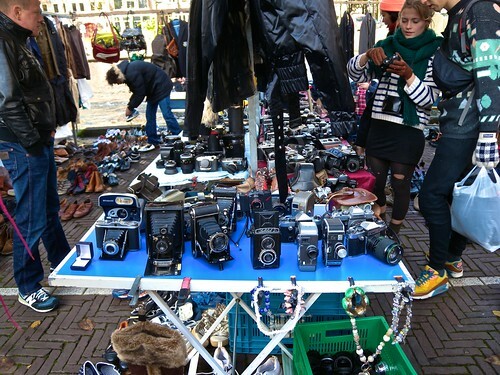 The junk market in Amsterdam is associated with the youth culture. You can buy stylish T-shirts with bright prints, old uniform, ethnic goods from different countries. By the way, the market is favorite place for fricks and hipsters. So, be ready to meet new faces and interesting locals. You can also meet collectors and interesting artists. In short, it will not be boring for you. The best time to visit junk market in the 30th of April – Queen’s birthday. This is a day when locals welcome everyone for sale. The junk markets in Vein are popular of their rich history. The first market in this place started work in 1150. Of course, Naschmarkt is not very old, but experienced enough to start its way in the 16th century. The atmosphere is fantastic to combine Vein charm and Easters colors. You can buy many different things, including dolls, antique furniture, shoes, and vintage paints. The market works once a week on Saturdays. There is a food market in this place the rest of the days. If you dreamed to buy antique things from Berlin, you have to visit Kunst und Flohmarkt am Tiergarten in Berlin. Actually, this market looks like museum. You can find many old photographs, famous cut glass, old uniform, old plates – this is the short list of your junk shopping. The platform of Kunst und Flohmarkt am Tiergarten has many interesting things. Come and see to learn and touch German history. If you want to visit Portugal, you should hire a car in Lisbon and come to A Outro Face da Lu. Portugal is a country of low design and industry, locals like bright and interesting things to trade. The prices are low. There are two shops, situated next door to one another. One of them offers vintage clothes. The other offers to buy different kinds of goods for big sale. There is also a cafe. Lisbon is a fashion bright city. So, the best way to follow the city style is visiting vintage shops. You can find interesting things for poor money there. As de Espadas was opened about 5 years ago to be the mass popular place, including fashion editors of the most of popular Portuguese publish houses. The clothes, shoes, accessories and jewelry from 50th and 90th are restored and offered for sale here. You can find a cute Hollywood floor-grazing dress, bright and impressive hats and jewelry from 40th and 80th, maxi dress, ragged pants for 10 EUR and amazing and elegant hand bag from Chanel for special price. The shop is located on Calcada do Carmo, 42, to work from 10 a.m. till 8 p.m. every day. The interior of As de Espadas is worth your special attention: two charming rooms and big cloak room with the wall mirrors. If you buy more than 2 goods, never forget to ask for sales. Do you like vintage goods? You know, it happened that the most of people like vintage just in theory. They cannot buy second-hand clothes or things. Probably, the old clothes can be your original way to make a point of your individual features and characteristics. All historical epochs have many specific features in form of stylish clothes, interior and jewelry. Vintage things speak about history of the city, country, national features and fashion lines. Learning vintage, you realize that the world is full of clothes. It is different: new, cheap, expensive, old, vintage clothes that people used to wear many years ago. This clothes was attractive for holidays, parties, meetings to be ultramodern or, instead, conservative. So, you should not look at the old rags but learn the history. If your dress or hat has its own history, it is really special and charming. So, visiting Europe, never forget to find that particular special thing that is waiting for you in the city market.